Welcome to ColorStar Imaging, Inc.
ColorStar your partner for Inkjet, Specialty Mailing/Addressing Products, and Laser Cartridges needs your help! We pay $1.00 per good cartridge and will offer you free shipping! Let ColorStar be your partner today! 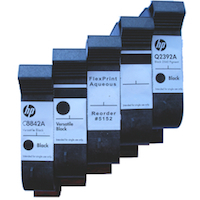 ColorStar your partner for Inkjet, Specialty Mailing/Addressing Products, and Laser Cartridges. With over 30 years of manufacturing supported by our in-house product development expereince, ColorStar guarantees the Highest Quailty Products utilizing the most advanced equipment and processes right here in the USA. Our mission is to provide superior quality products with excellent service to our customers for all their printing needs.